When you select Cavanagh Family Funeral Homes, you entrust us with a great responsibility. To make sure the Media families we serve have complete confidence in our funeral services, we hold ourselves to the highest standards of care. At Cavanagh Family Funeral Homes, it is our mission to provide your family with a fitting tribute centered on honoring your loved one’s life, all at prices you can afford. Although there are many decisions you need to make, we assure you that we will guide you through the entire funeral planning process. Our knowledgeable staff will listen carefully to all your wishes, and carry out your arrangements to create a memorable service. For generations, we have met the needs of families in the Media area and surrounding communities with understanding and compassion. At Cavanagh Family Funeral Homes, we believe a funeral service should be as unique as the person it honors. In fact, we take great pride in creating perfectly personalized services that beautifully capture the essence of you or your loved one. We can help you find inspiration almost anywhere and turn that inspiration into a memorial service filled with thoughtful and meaningful details. 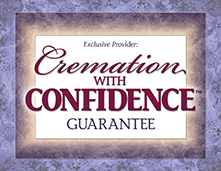 Preplanning your funeral is a loving gesture to those you leave behind. It allows you time to carefully consider and select the specific items you want. Most importantly, it saves your family and friends the stress of making difficult decisions while still grieving your passing. They will know exactly how you wanted to be remembered, which makes the service more meaningful.